Keyline Design® is a complete design system for landscapes, that we integrate with Holistic Management and Permaculture Design in various settings and climates. 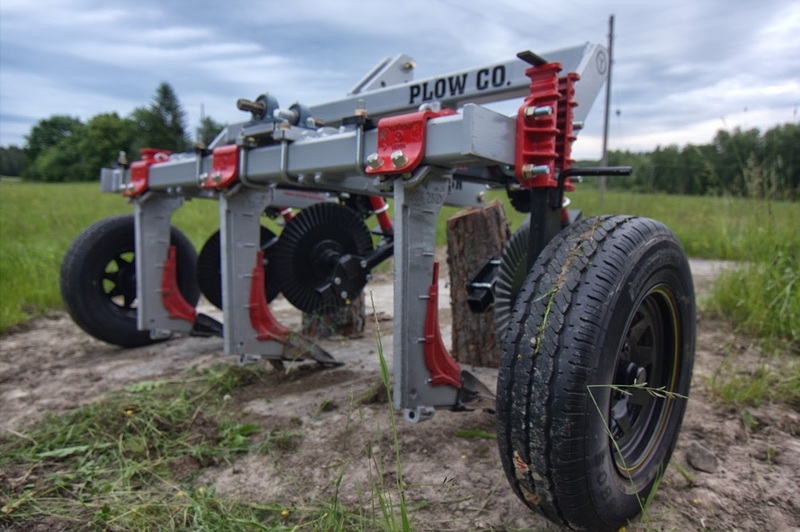 Our Yeoman's 6SB plow is used for shattering compaction & increasing soil depth, water management through topographically patterned use and high quality tree preparation. By adding on additional tools, this plow can be adapted for deep ripped bed- formation, compost tea/ biofert application, even pipe laying. Keyline Design has the potential to build and regenerate degraded soils rapidly, especially when integrated with holistically managed grazing. It also has deep relevance to the urban built environment, as laid out so eloquently in Yeoman's The City Forest. Keyline Design® was developed in Australia by P.A. Yeomans, who wrote his first book on the subject in 1954. 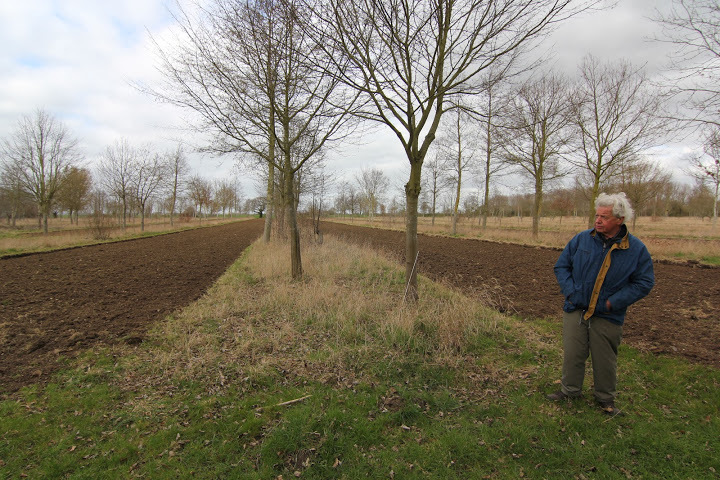 Yeoman's described a system of slightly "off" contour sub- soil ripping to control rainfall run off and enable fast flood irrigation of undulating land without the need for terracing. Keyline Designs include irrigation dams equipped with through-the-wall Lockpipe systems to gravity feed irrigation, stock water and farm water. In some climates graded earth channels may be interlinked to broaden the catchment areas of high dams, conserve the height of water and transfer rainfall run-off into the most efficient high dam sites. Roads follow both ridge lines and water channels to provide additional catchment and non erosive movement across the land. Whilst Keyline® systems were developed during the 1950’s (www.yeomansplow.com.au) as a response to increasing desertification and erosion that P.A Yeoman's observed on the Australian landscape as it related to agriculture, this design pattern and system brings wide benefits in many farming scenarios. His book Water For Every Farm, A Keyline Plan is an important work describing a set of principles and techniques based on a holistic approach that works with natural patterns to restore and increase the depth and fertility of the soil, while increasing its water holding capabilities, and has deep benefits beyond the native dryland landscapes that Yeoman's was working in. Yeomans realized that conventional agriculture totally ignored the biological aspects of the soil. He created a “sustainable agriculture” system before the term was coined, and for the first time in human history, methods were developed that could produce rich fertile soils in relatively short periods. A permanent and lasting agriculture, Yeomans believed, must materially and financially benefit the farmer, and benefit the land and soil. Yeoman's also developed the "Scale of Permanence" which we use as an organizing pattern for our Permaculture design work, where climate and landform direct the organisation, priority and patterning of design elements on the landscape according to their relative permanence. It can be successfully applied to the design of the town and city landscapes. 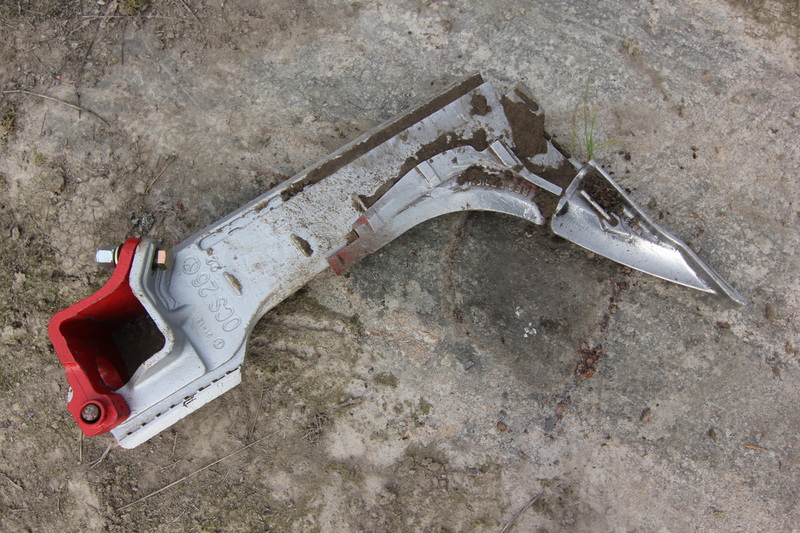 Keyline® Design integrates terraces, ponds, tree plantings on contour, and a special cultivation technique using the Keyline® plow to infiltrate water into the soil efficiently and hold it on the land as long as possible. By spreading and sinking water, kick starting the soil building process in the subsoil and building soil carbon we can restore degraded pasture in a cost effective way very rapidly. 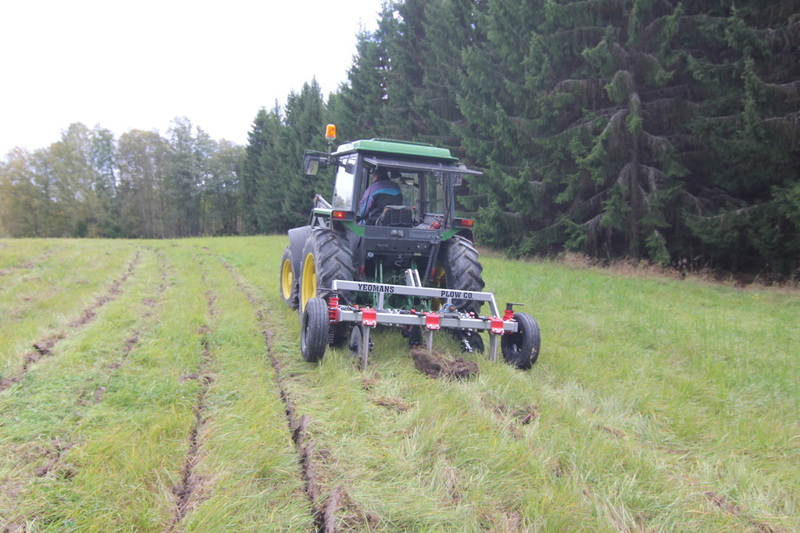 Combined with Soil Foodweb technologies and BioFertilisers and innovative use of other additional machinery (eg, mounders for tree planting) we can implement multiple management strategies with a single machine pass. Water harvesting strategies employed by Keyline® Design can provide drought-proofing for farms with very low maintenance using gravity fed irrigation systems, with a huge reduction in water lost to evaporation. In contrast, up to 80% of water is lost to evaporation using conventional overhead sprinklers. 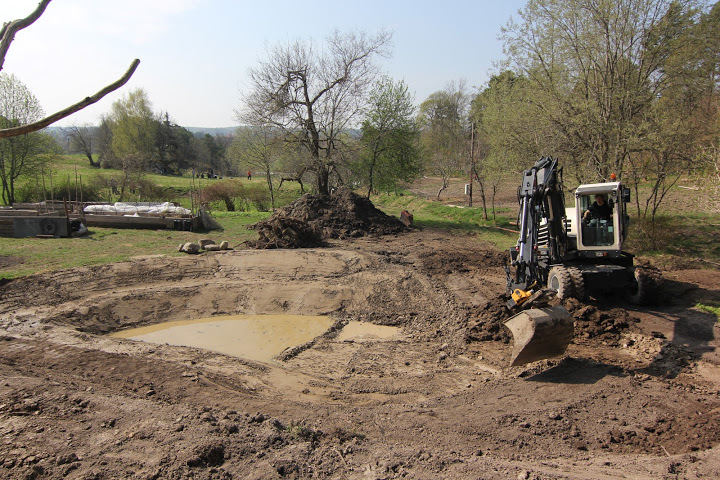 Farms using Keyline® Design have amazing records of deepening the topsoil by 3-6” in 3 years, in contrast to nature’s process, which can take hundreds or thousands of years. The term Keyline comes from the reference to a “keypoint”, or point of inflection & deposition in a primary valley, where the lower and flatter portion of a primary valley floor suddenly steepens. Alongside earthen dams and diversion & irrigation channels, the geometry of topography allows effective cultivation lines to be established for more even spread of water in the soil. Plow patterns are generated within the valley limits parallel up and down to the contour of the keypoint, combined with patterning on ridges parallel to the lower contours. This allows non- inversion cultivation to effectively move water out from moist valleys to drier ridges, thus creating a more even distribution of water that traverses through the soil at a slower rate, which at the same time can counteract compaction and promote deeper rooting and soil creation.